Brothers Moving & Storage has all of your moving needs, our Milwaukee movers will help you get it done right the first time. With Brothers Moving & Storage while we are located in Waukesha, WI we service all areas including Waukesha, WI. Brothers Moving & Storage offers many different services for your very different moving needs. 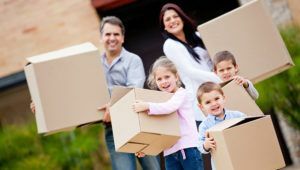 We understand that not all moves are the same and they all need different things, so with this our different moving packages will help with your specific needs. If you are just looking for packing services, moving and storage, loading of a POD or rental truck, or a full service move we are here to help you. Brothers Moving & Storage does not just offer basic moving services, with all of our full service Milwaukee Moves, we offer free of charge, blanket protection, rug runners for floor protection, door jamb protection and experienced movers on every job we do. With this we also come with a basic tool set to be able to disassemble and re-assemble beds, and tables for you. Brothers Moving & Storage will come out to your home on moving day fully prepared for your move. With Brothers Moving & Storage you can always come to us if you have any kind of questions on your moving process, or how to take care of certain things. We care about you and your move from beginning to end as it can be a very stressful time for you. You can always call us with any questions, or visit our website as we have many different areas that you can visit to look up tips on packing your boxes, to a moving checklist that will help you stay organized during the whole moving process. There are many other websites that have great moving checklist as well. Brothers Moving & Storage would like to wish all of you a great move and enjoy your new home. Please call us today at 414-815-6683 to get your free estimate on your upcoming moving needs and to learn more about what we have to offer.